The Department of Civil Engineeringis 3 times accredited with “A” grade by National Board of Accreditationhas well qualified, senior, ambitious and dynamic staff. 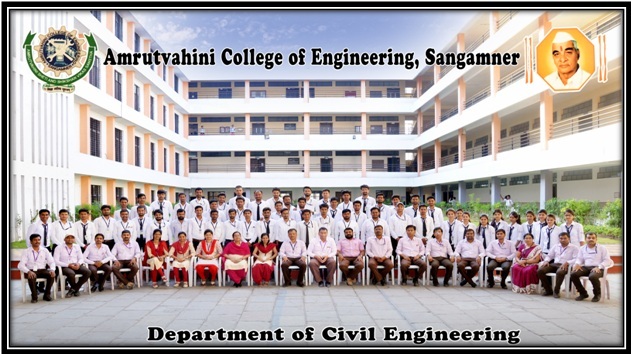 The department started offering B.E programme in Civil Engineering in the year 1983 with annual intake 60.With increasing in demand from industry the department has increased the annual intake of B.E. programme from 60 to 120 in the year 2012-13 and addition of lateral intake of B.E. 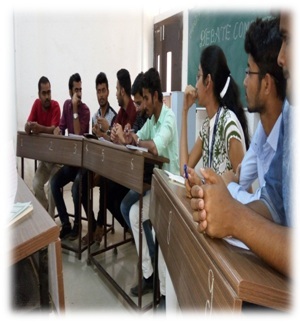 programme fordirect second year students started in the year 2014-15. 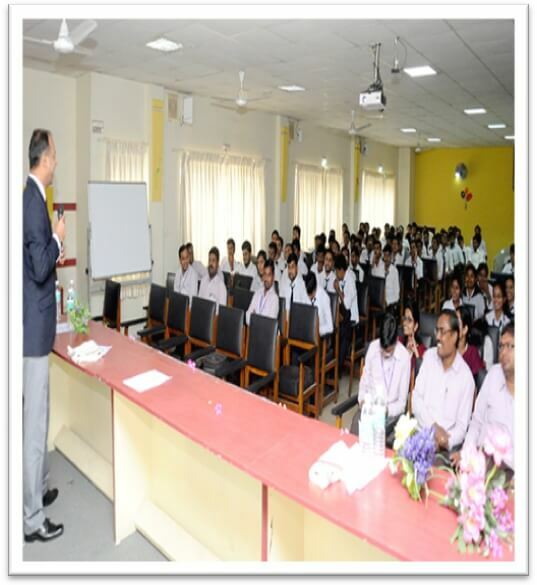 A team of qualified faculty with ample experience is the highlight of the department. P.G. Course M.E. 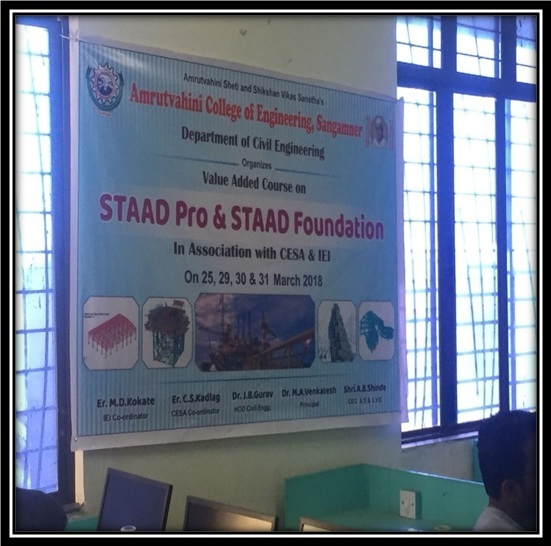 (Structural Engineering) was added in the year 2007 with an intake of 18.Both the programmes emphasize on industry standard and research based projects, which would enhance students skills to become successful professionals for a holistic development. The faculty members are having their publications in various refereed/ impact factor SCI / Scopus journals of Taylor &Francis, Modern Applied Sciences, ASCE, Springer, IEI, Elsevier, etc. The faculty members are contributing as reviewers / referees in the journals of Elsevier, John Willey and Sons, Springer, etc. Faculty members of department are also associated in various kinds of R & D projects at university and AICTE level and received various grants of Rs.40 Lacs so far. 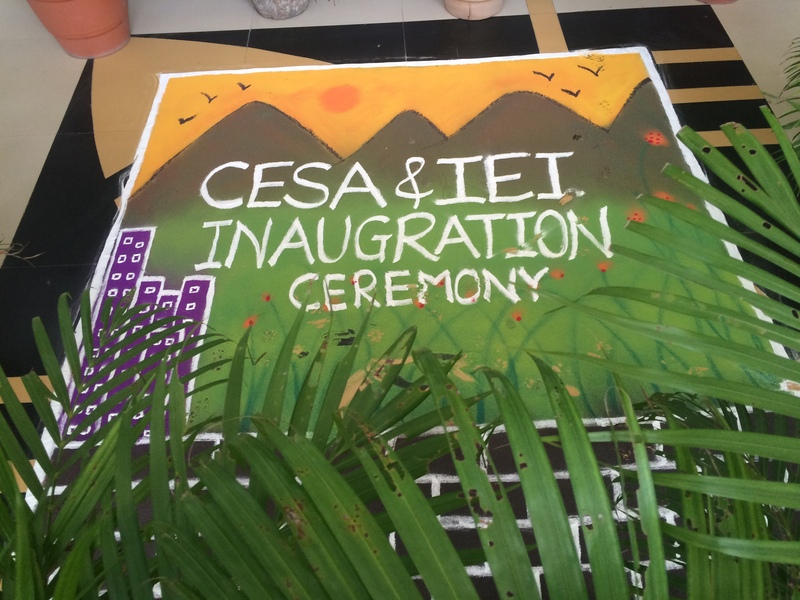 The department involves in various college activities like annual social gathering and sports. 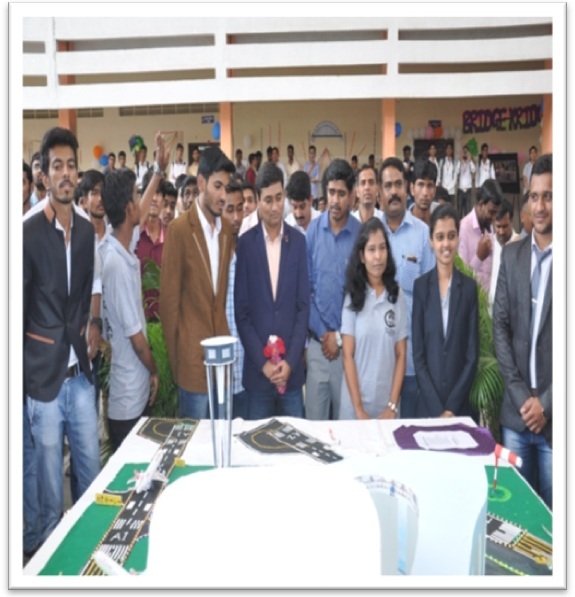 Every year department is organizing technical events like TechnoAmrut, which gives platform to the students to develop technocrat skills. 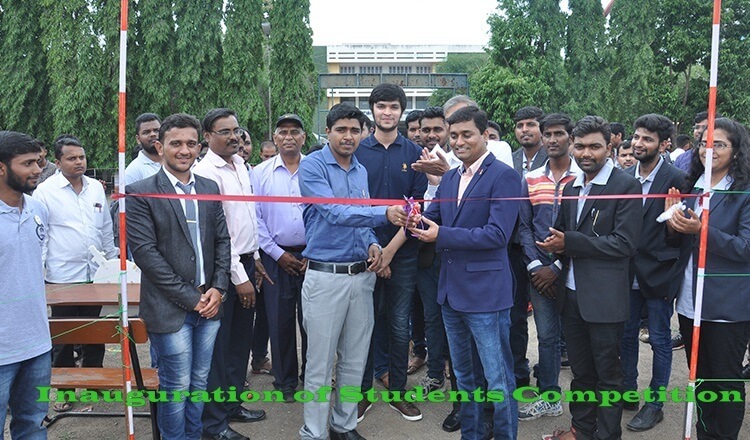 Department has focused on making the students competent enough to get placed in well reputed companies like AFCON Infrastructures, IVRCL Hyderabad, Godrej Infrastructures, Dorche India, Magarpattacity Pune, Protious Nashik, Make My House etc. 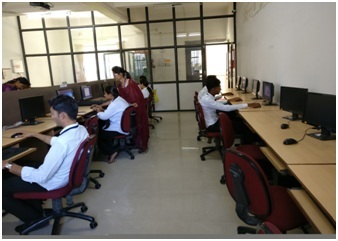 The department has strong alumninetworks, many alumni are placed in Industry, Government Sector, Public Sector (PSU) and Private Sector at National and International level. The department has significant record of maximum MPSC qualified students as well as UPSC. Up till now the department has produced150 plus officers in Government sectors, scientists in BARC and ISRO, and many rank holders in university examinations. 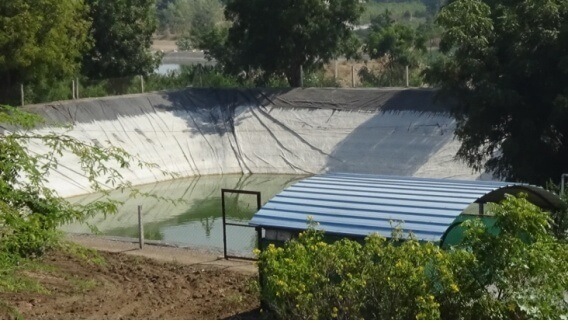 The department has got recognition under Unnat Maharashtra Abhiyaan, the flagship program of State Government of Maharashtra, under which various government activities are assessed and verified by the department like,Jalyukta Shivaar Yojana,Rural Water Supply Scheme, Rejuvenation of Watershed, etc in association with CTARA IIT Bombay. The department is also contributing for socio-economic development of rural area by producing economic structure such as ferrocement detachable toilet, water tank, check dam, farmer fishery pond, dome, bamboo reinforced houses, earth ram, paddle operated fertilizer spreading pump, energy efficient Bakelite shelter for quick rehabilitation. The department is also providing social services such as a) Soil heath card to farmers, which gives the idea about N, P, K, pH and salt concentration for adequate cropping pattern and b) field survey and design of drainage system for the rural area. 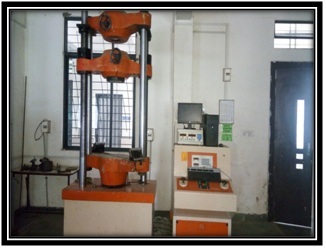 The department has a remarkable contribution in the field of research and development, testing and consultancy. The faculty members of department has 9 IPR contribution also such as patents, design registration, trade mark, copyrights etc. To strive hard for the need of quality technical education of civil engineering students in rural area with aim of enhancing employability and entrepreneurship awareness. 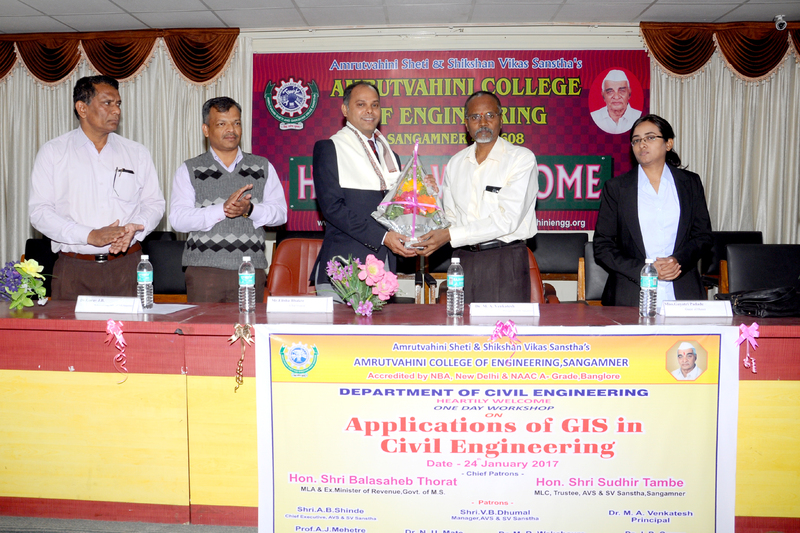 The department is committed to educate rural youths for high technical competencies in the field of civil engineering to achieve maximum placements, to promote high-end research and development activities to meet the current and future challenges & to expand spiritual values in the young intellects through continual academic training in peaceful environment. Contribute effectively by imparting training for rural youngsters of civil engineering to meet the changing technological needs of the country by incorporating highest employability and overall socio-economic development of individual. 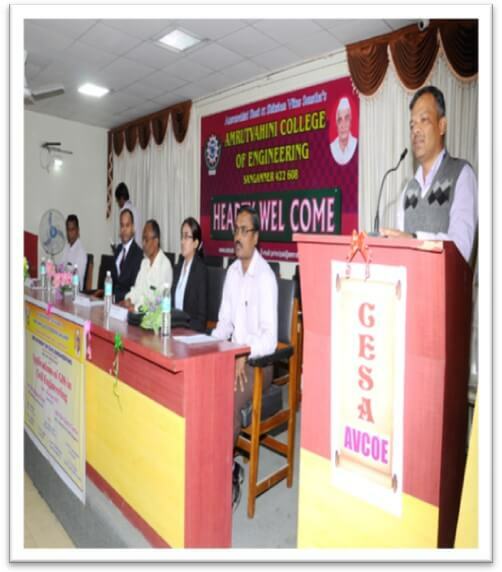 To be a perennial source of quality education the field of civil engineering which imparts the basic knowledge to the young minds for developing skill and personality, who can lead the society towards sustainability. The department aims to promote all round development of the personality of students by suitably involving them in co-curricular and extra-curricular activities. 9 Dr. J. 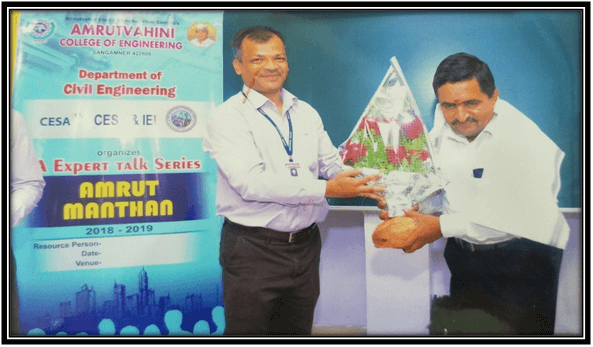 B. Gurav AwardedPromising Engineer Awardfor outstanding performance and excellent work done in Engineering Field by The Institution of Engineers (India)-IEI Ahmednagar Local Centre. 2010. 10 Dr. J. 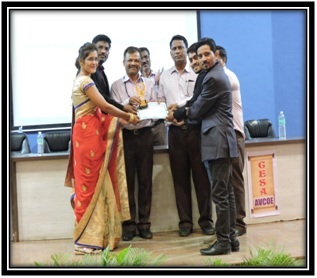 B. Gurav Best Teacher Award for outstanding performance and contribution in Teaching Field by Amrutvahini College of Engineering, Sangamner (SK) Dist: Ahmednagar 2011. 11 Dr. J. B. Gurav Best Appreciation Award for outstanding performance and excellent Research and Development work done in Surveying- Civil Engineering and for Design of Registration Patent Office Govt. of India. 12 Dr. J. 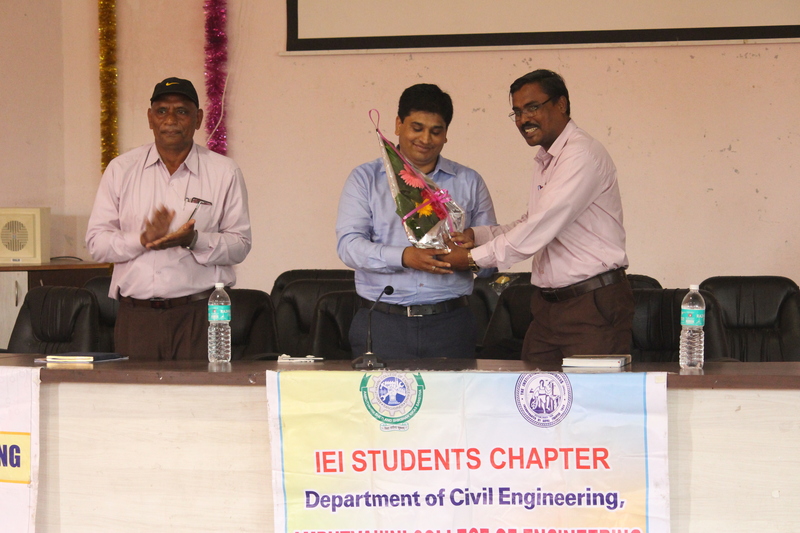 B. Gurav Engineering Achievement Award for recognition of excellent performance and remarkable work in engineering field by The Institution of Engineers (India)-IEI Ahmednagar Local Centre. 2015. 13 Dr. J. B. Gurav Works as a reviewer for various Journals of Publishers like John Willey & Sons, Elsevier, Springers etc. 14 Dr. J. 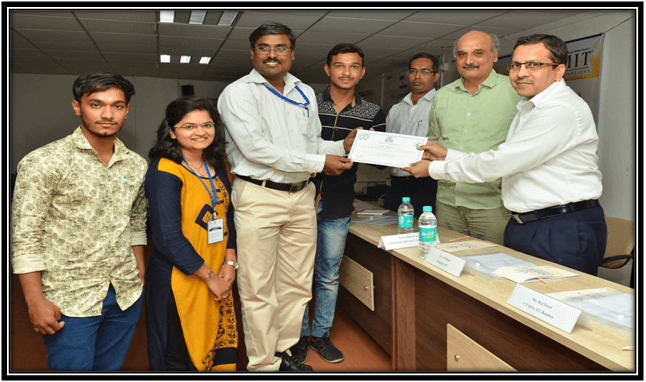 B. Gurav Recognized as a Ph.D. Research Guide of SPPU, Pune (Letter Ref. No: BUTR/Engineering/40/180 Dated:16/062017) and Associated with Ph.D. Centre of S.R.E.S. C O E, Kopargaon. 15 Dr. M.R. Wakchaure, Prof. A.V. Navale and Prof. B.E. Gite Developed a perpendicular offset setter for surveying. 36 Dr. M.R. Wakchaure Elected as BOS in SPPU, Pune. Title of Book: Sustainable Holistic Water Resources Management in a Changing Climate. 13-16 Feb. 2007 Vol. II, pp. 873-887. Optimal Cropping Pattern Planning under Deficit Irrigation 21-22 Dec 2007, pp. 209-219. Planning of Conflicting Irrigation Objectives under Fuzzy Stipulations 30th31stAug2010 pp. 156-163. Sustainable Irrigation Planning Using Two Phase Approach under Fuzzy Environment 05-06 April 2013 pp.118. 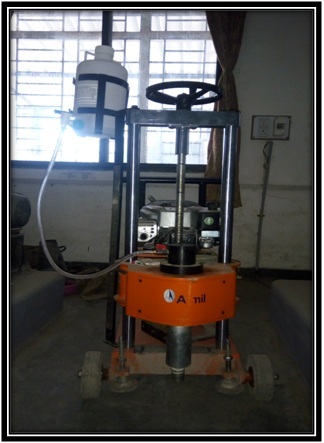 Ramakant S. Ingole and Dilip H. Lataye, published Adsorptive removal of phenol from aqueous solution using activated carbon prepared from babul sawdust. Journal of Hazardous, Toxic and Radioactive WasteASCE, (2015), Volume 19, No. 4, 04015001-09. Removal of 4 nitrophenol from aqueous solution by adsorption onto activated carbon prepared from Acacia glauca sawdust, Water Science and Technology, (2016), Volume74, No. 4, 955-966. Ramakant S. Ingole and Dilip H. Lataye published, Adsorption of phenol onto low cost adsorbent: optimization of adsorption process parameters. 7th International Conference on Environmental Science and Technology Crowne Plaza, Houston, Texas, USA during June 9-13, 2014 Organized by American Academy of Sciences, USA. publishedAdsorptive removal of 4 nitrophenol from aqueous solution using activated carbon prepared from waste orange peels, Journal of Hazardous, Toxic and Radioactive WasteASCE, 04016015-10, DOI: 10.1061/(ASCE)HZ.2153-5515.0000332. Adsorption of phenol onto Banana peels activated carbon, Journal of Korean Society of Civil Engineers, 2017, DOI 10.1007/s12205-016-0101-9. Elastic and Inelastic Response of Structural System in Seismic pounding”. Open Journal of Civil Engineering (OJCE), Scientific and Research Publisher USA, 6, 2016, 50-73. “Use of Rubber Shock Absorber to Mitigate the Effect of Seismic Pounding,” Proc. of Indian Conference on Applied Mechanics (INCAM 2017), 4-6 July 2017, Motilal Nehru National Institute of Technology, Allahabad, UP, India. Nilesh U. 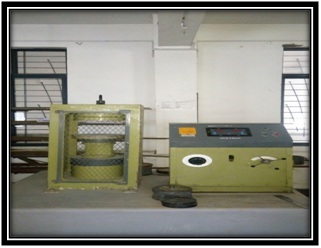 Mate ., Bakre S. V., and Jaiswal, O. R.published“Seismic pounding response of elastic and inelastic structures using passive tuned mass damper”. International Journal of Civil Engineering, Iran, Springer Publication, vol. 15, No.7, 2017, 991-1005. 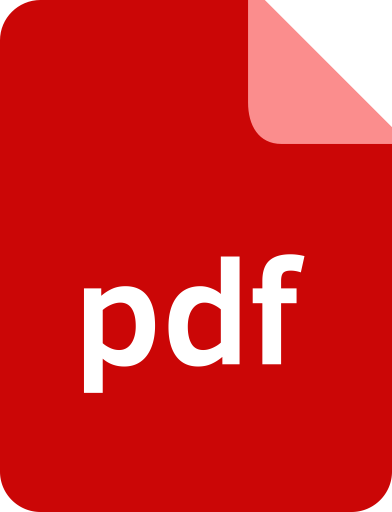 (https://doi.org/10.1007/s40999-017-0178-7)(SCI Indexing Journal). M.A. Nawale , A.J. 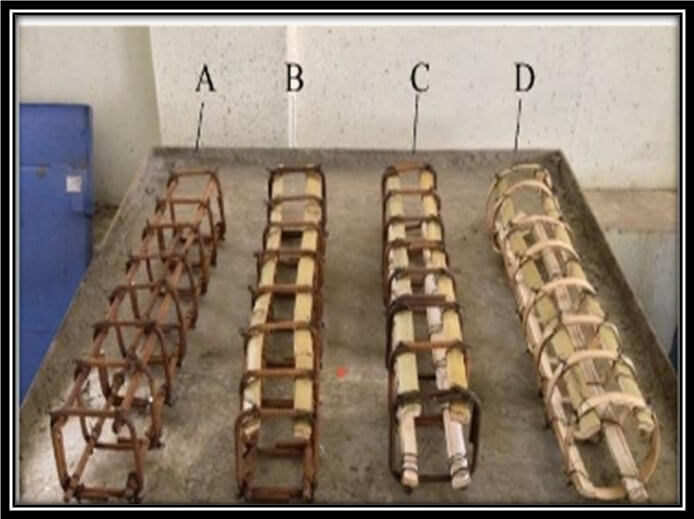 Mehetre & S. B. Kandekar published “Strengthening of RC Beam And Column Joint By Using CFRP & GFRP” International Journal of Scientific Engineering and Technology (ISSN : 2277-1581)issue no. 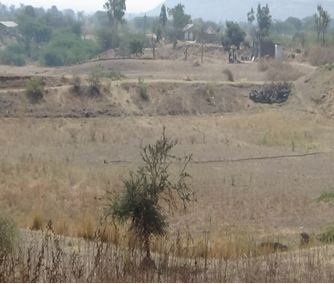 "Identification of Groundwater Potential Zones using GIS & RS Techniques: A case study of YavatmalTaluka-Maharashtra. "IJSART, Volume 3, Issue 7, July 2017, ISSN:2395-1052. 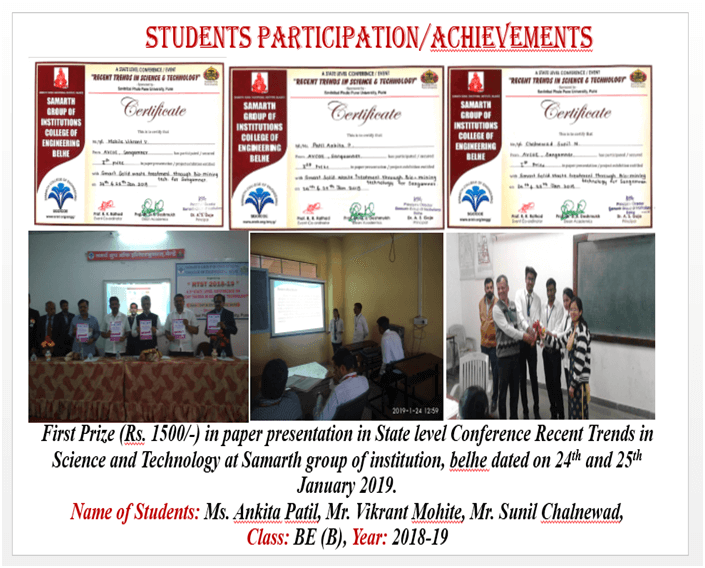 Mr. Sunil Chalnewad Won First Prize in Paper Presentation in Two days State level Conference on Recent Trends in Science and Technology held at Samarth Group of Institution, Belhe 24th and 25th January 2019. “Sustainable development of AVCOE campus. 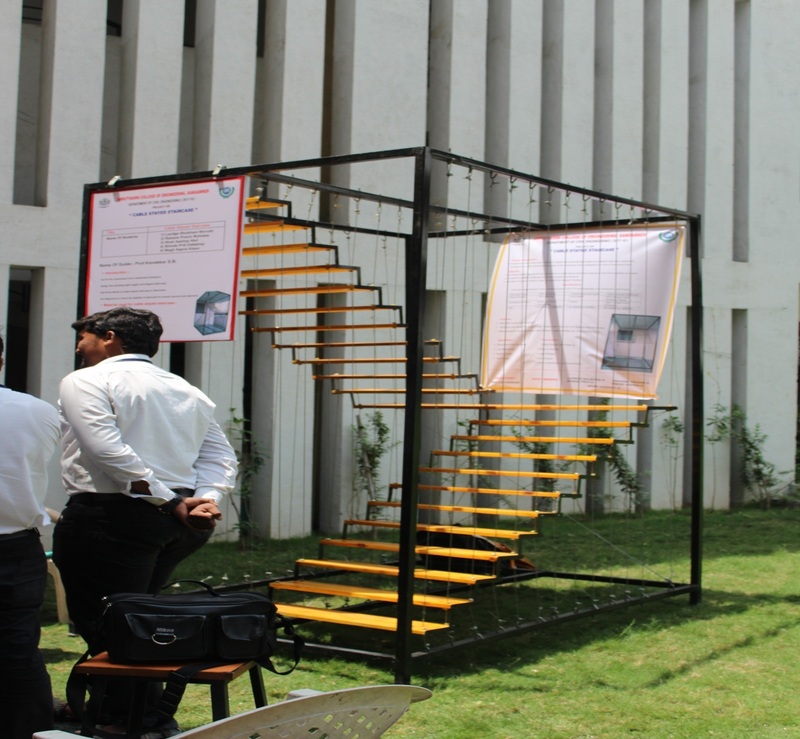 Runner up in Project Exhibition held at AVCOE, Sangamner. 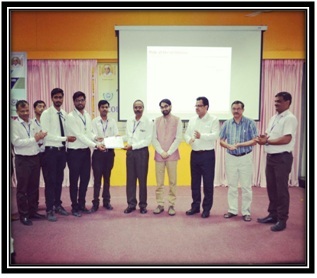 Secured Third Prize in Project Exhibition held at AVCOE, Sangamner. 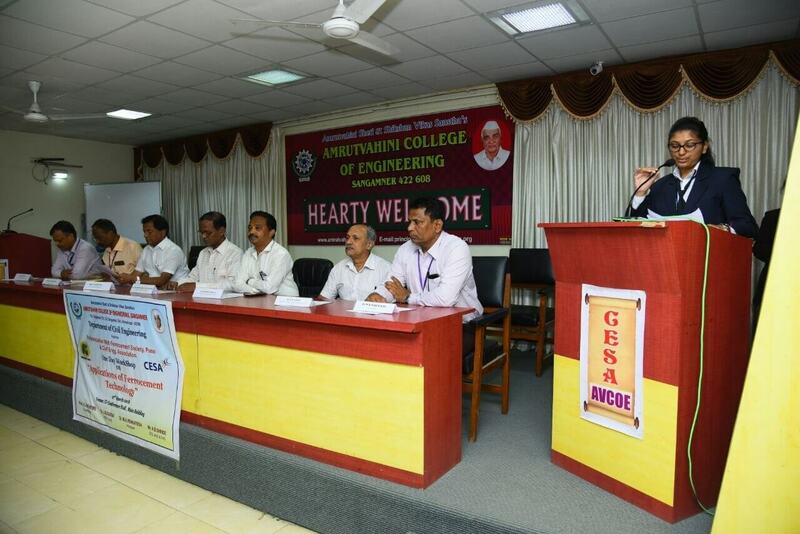 Amrut Meritorious Scholarship Distribution Ceremony 2017-2018. 1. 20/06/2018 Debate Competition 16 participants in two groups Increases the confidence and stage daring. 5. 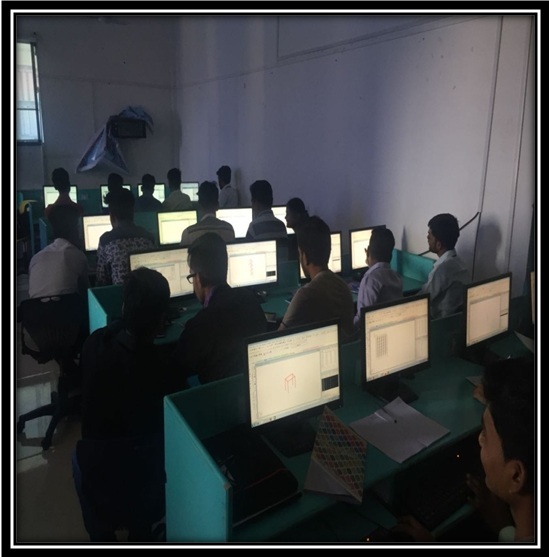 26/07/2018 Technical Aptitude Test 150 Prepared students for Written test during recruitment. 7. 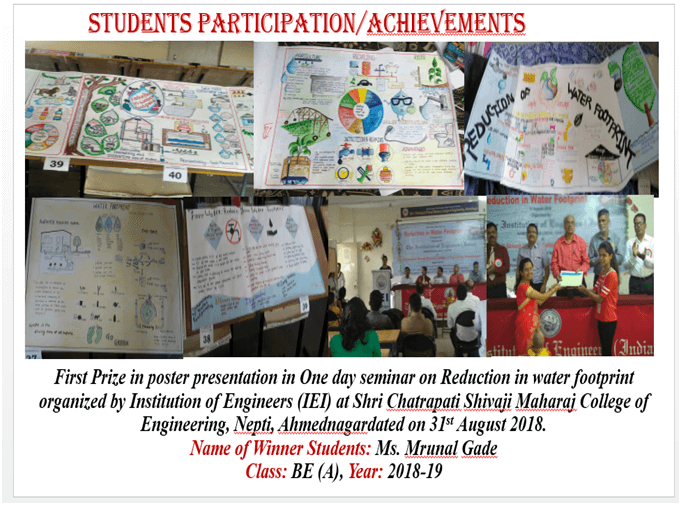 29/08/2018 Poster Making Competition 15 Learnt to project documents in a fast, concise and clear way. 10. 06/09/2018 Sport activity 47 Awareness regarding Physical fitness. 12. 28/06/2017 Debate Competition 16 participants in two groups Increases the confidence and stage daring. 16. 26/07/2017 Technical Aptitude Test 150 Prepared students for Written test during recruitment. 18. 16/08/2017 Poster Making Competition 15 Learnt to project documents in a fast, concise and clear way. 21. 06/09/2017 Sport activity 47 Awareness regarding Physical fitness. 24. 27/09/2017 Debate Competition 16 participants in two groups Increased confidence and stage daring. 26. 10/01/2018 Debate Competition 16 participants in two groups Increased confidence and stage daring. 35. 15/07/2016 Debate Competition 16 participants in two groups Increased confidence and stage daring. 39. 31/08/2016 Debate Competition 16 participants in two groups Increased confidence and stage daring. 41. 17/09/2016 Poster Making Competition 6 group Learnt to project document in a fast, concise and clear way. 48. 21/02/2017 Aptitude Test 200 Prepared students for Written test during recruitment. 50. 02/03/2017 Poster Making Competition 6 groups Learnt to project documents in a fast, concise and clear way. 51. 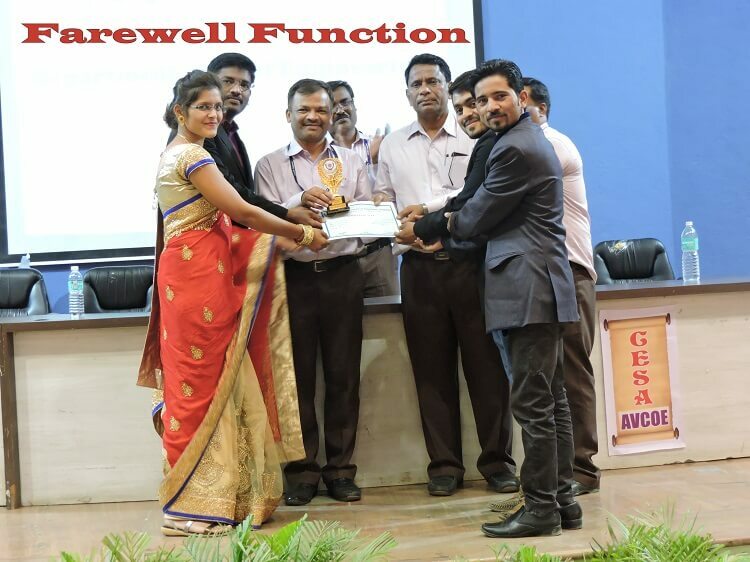 07/04/2018 Farewell Function for BE Students. 650 Interaction of all Final year students. Aptitude Test conducted for B.E. Civil Student. 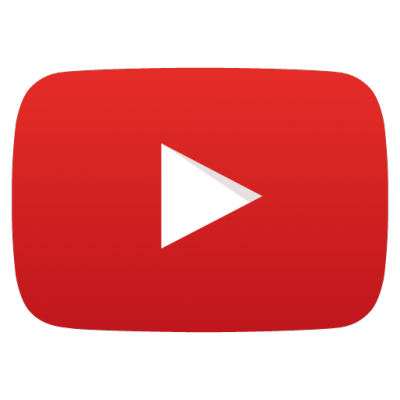 English Recitation Guidance –Mr. Anthony D’souza. 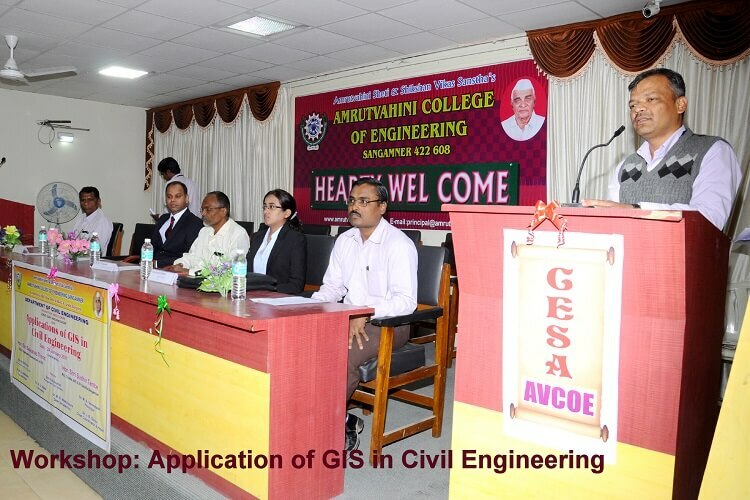 Techno Amrut (Technical Event) held at Department of Civil Engineering. 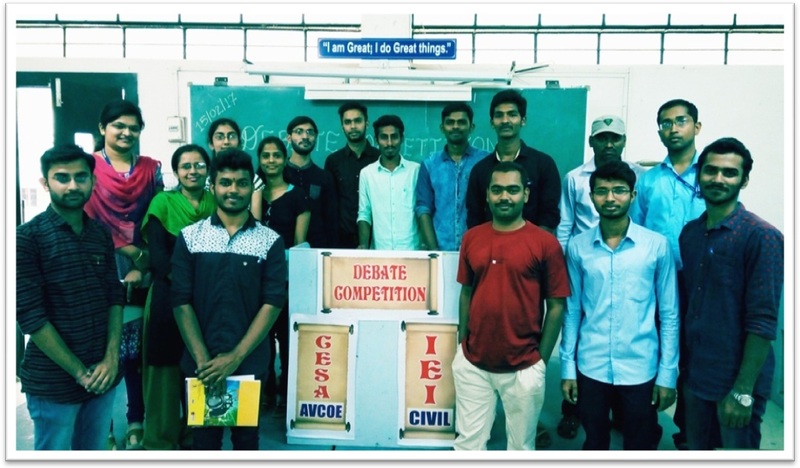 Participants of Debate Competition under CESA and IEI . 1. 06/07/2017 Mr. Shrikant Kadlag BE 2015 How To Start A Construction Business. Learnt significant things required before starting business. 3. 17/08/2017 Mr.Harjyot Singh Batra BE 2012 Opportunities In Construction Field Came across different recruiters in Civil Engg. 4. 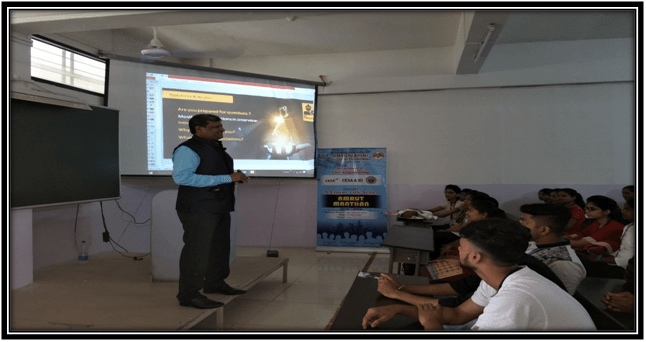 17/08/2017 Mr.Umesh Kasat BE 2012 Opportunities In Construction Field Came across different recruiters in Civil Engg. 6. 17/07/2017 Mr.Nilesh Katore TE & BE 2015 Role of Engineer In Construction Field. 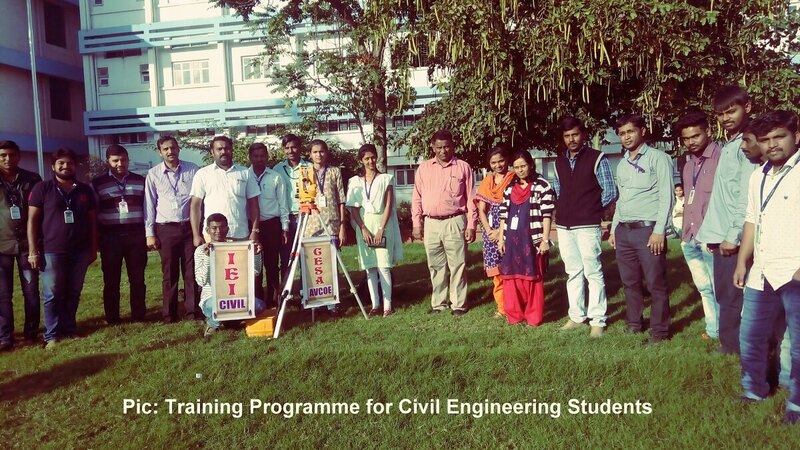 Understood the various responsibilities of Civil Engineer. 7. 17/11/2017 Mr.Bhavsar Siddhesh TE & BE 2012 Construction opportunities in Gulf Countries Came across different recruiters in Civil Engg. 8. 19/03/2018 Mr.Desai Sunil Rajaram BE 1988 Role of Civil Engineer in Industry Understood the various responsibilities of Civil Engineer. 9. 08/02/2018 Mr.Kadlag Vishwajeet TE & BE 2010 I.S. Code Provisions in Civil Engineering Understood the New amendments in IS code. Alumni Interaction Mr. Harjyotsingh Batra interacting with Students. 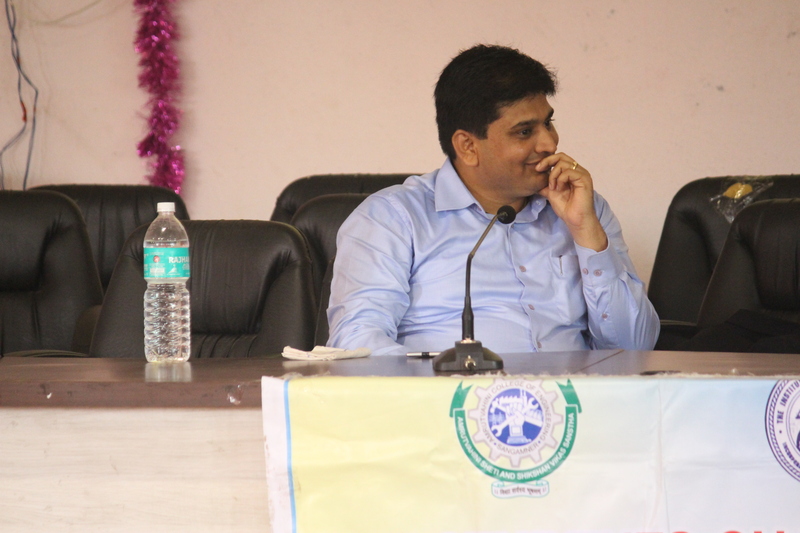 Alumni Interaction Mr. Umesh Kasat interacting with Students. 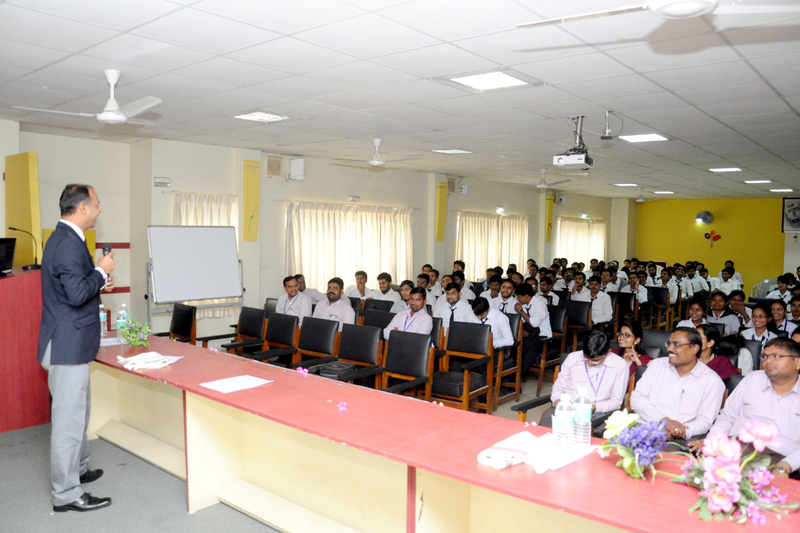 Alumni Interaction Mr. Sunil Desai interacting with Students. 1. 20/07/2018 WALMI, Aurangabad TE (A) Students observed various units. 2. 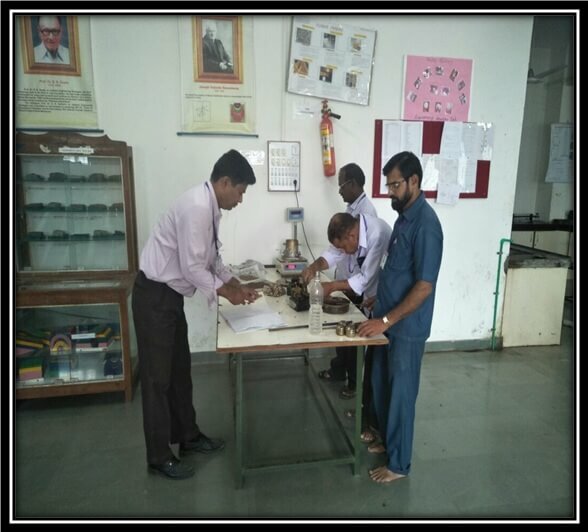 20/07/2018 WALMI, Aurangabad TE (C) Students observed various units. 3. 24/07/2018 MERI, Nashik TE (B) Students observed various units. 4. 27/07/2018 Central Railway Workshop, Manmad. TE (A) Students observed various units at workshop. 5. 27/07/2018 Central Railway Workshop, Manmad. 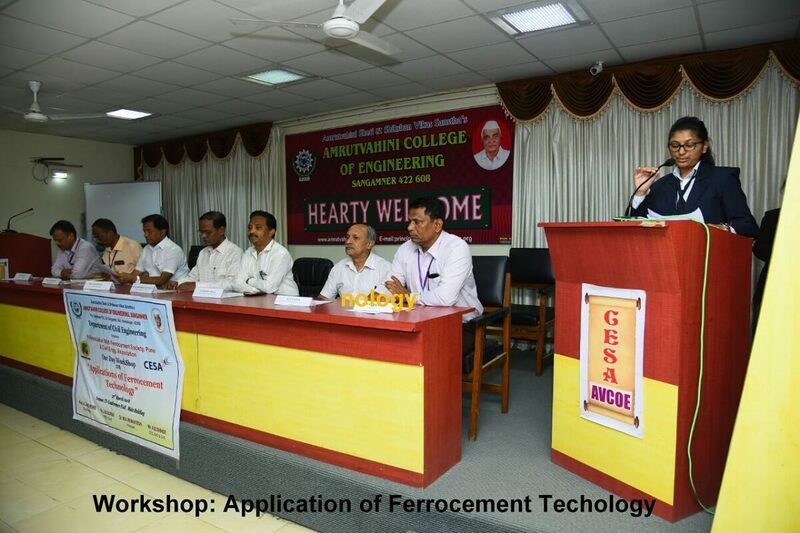 TE (C) Students observed various units at workshop. 9. 4/09/2018 SMBT Sahakari Sugar Factory, Sangamner. TE (C) Students observed various units at factory. 10. 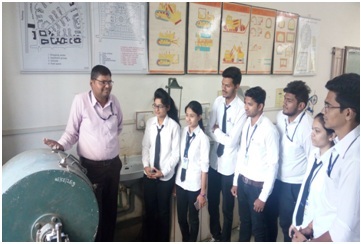 07/09/2018 Environment Department PCMC Pune &Mahametro BE (A) Students observed various treatment units at plant. 11. 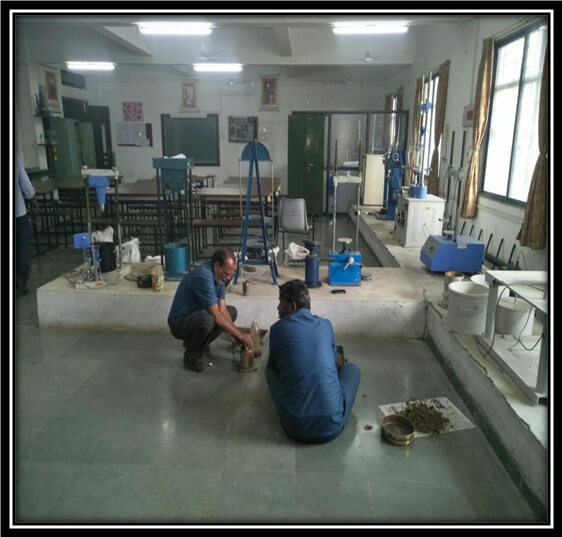 07/09/2018 Environment Department PCMC Pune &Mahamtro BE (B) Students observed various treatment units at plant. 12. 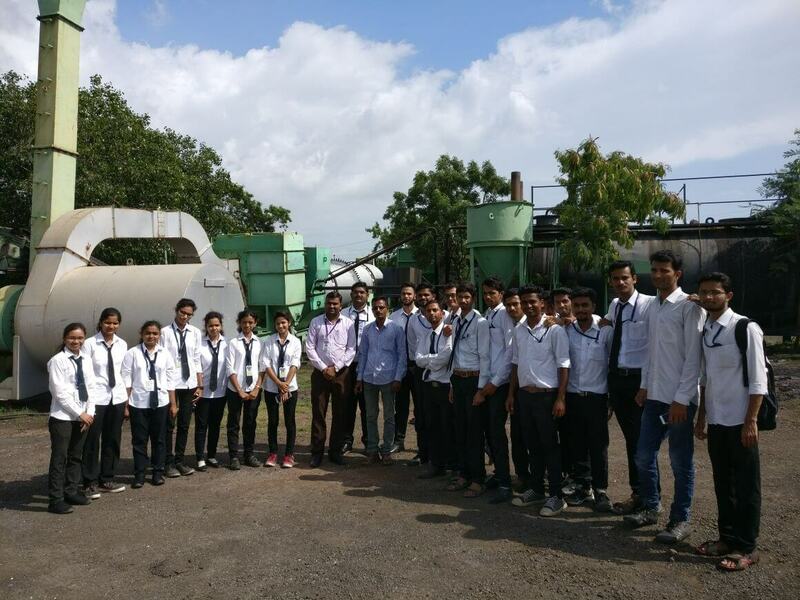 07/09/2018 Environment Department PCMC Pune &Mahametro BE (C) Students observed various treatment units at plant. 13. 07/09/2018 Stone Crusher andBitumen plant, Pimpale. BE (C) Observed different machineries. 14. 14/09/2018 Retaining Wall Construction Site, NandurShingote. BE (B) Students observed various component of retaining wall. 15. 19/09/2018 Road Construction Site, Sangamner. BE (A) Students observed various layer in road construction. 16. 19/09/2018 Retaining Wall Construction Site, NandurShingote. BE (C) Students observed various component of retaining wall. 42. 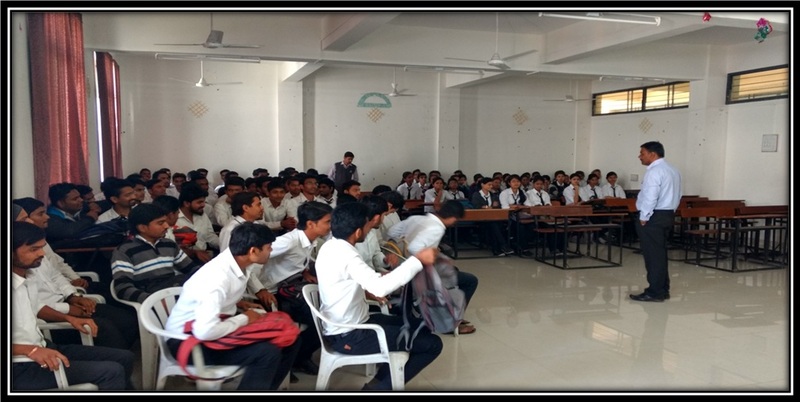 01/09/2017 Lawasa Pune BE(B) Students learnt about various aspects of Town Planning. 43. 08/09/2017 Lawasa Pune BE(C) Students learnt about various aspects of Town Planning. 44. 22/09/2017 Beton Concrete Products, Khadka, Newasa BE(C) Students learnt about various aspects of Town Planning. 60. 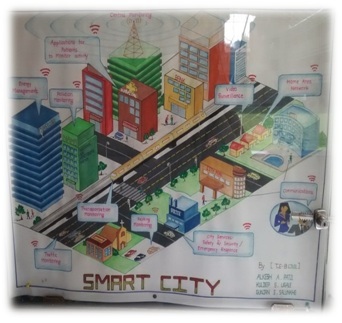 03/09/2015 LAVASA City,Pune BE(A) Students learnt about various aspects of Town Planning. 61. 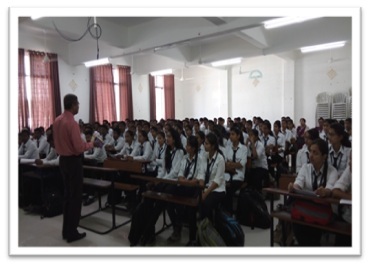 03/9/2015 LAVASA City, Pune BE(B) Students learnt about various aspects of Town Planning. 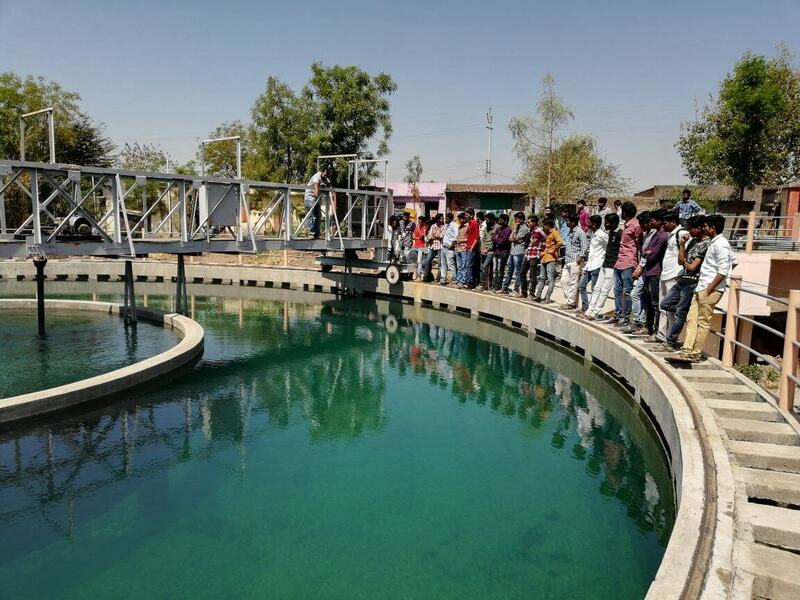 Industrial Visit of TE students at Water Treatment Plant, Nigadi, Pune. 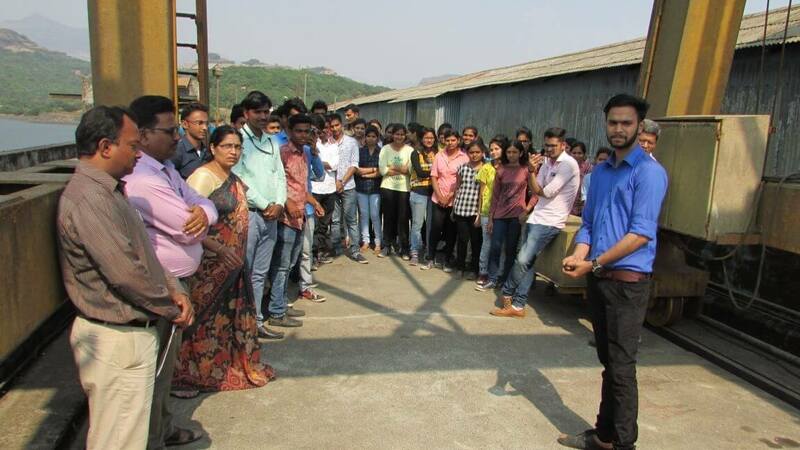 Industrial Visit of BE students at N. K. Gade Hot Mix Plant Sangamner. Industrial Visit at Construction Site, Pune. 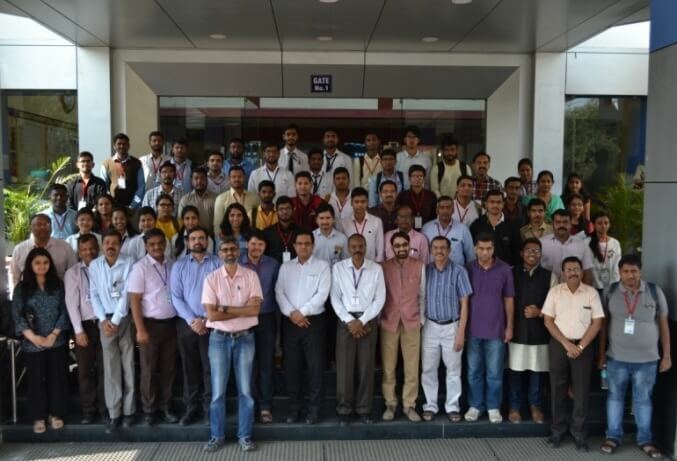 Industrial Visit at CWPRS, Pune. 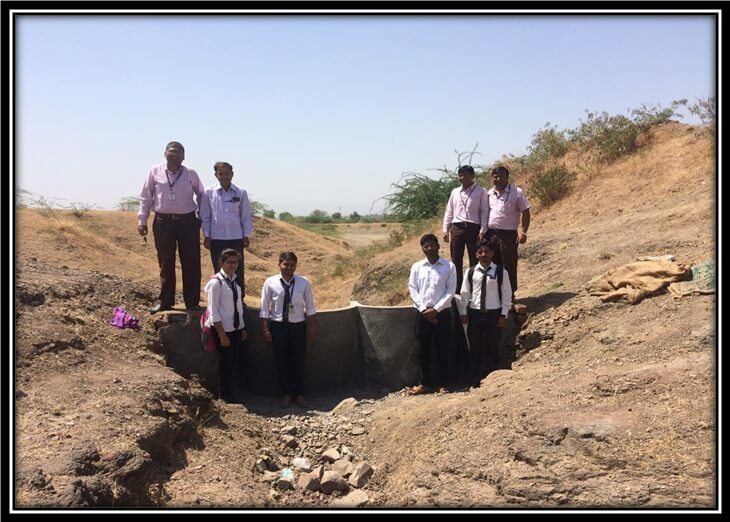 QA/QMS/QC Adviser, Pune Shuttering SE Students understood the various onsite problems related with shuttering. 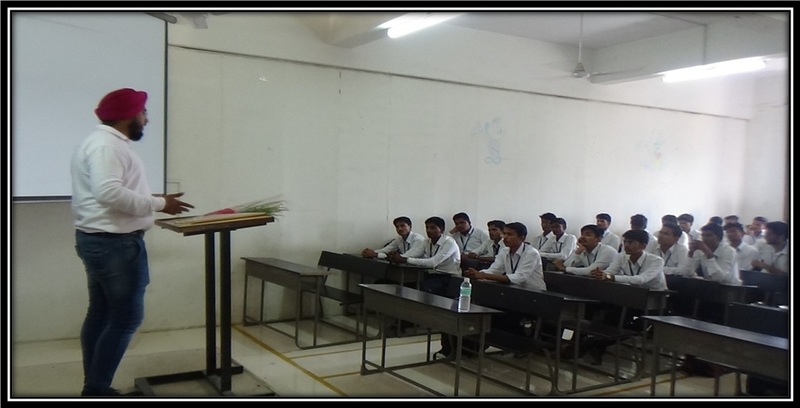 QA/QMS/QC Adviser, Pune Quality assurance in Concrete Technology TE Students understood the aspects related with quality assurance of concrete. 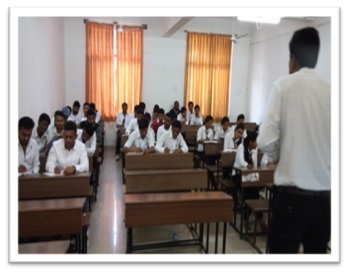 QA/QMS/QC Adviser, Pune Project Management BE Students understood the parameters related with Project management. 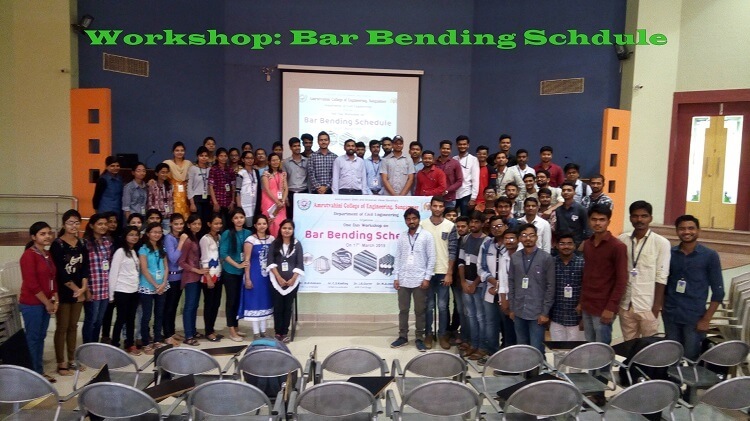 PhD Research Scholar, VNIT, Nagpur Prevention and Protection of Base Isolated Structures subjected to Blast Induced Vibration BE Students understood things like Earthquake zones, theories related to Earthquake, Earthquake Forces. 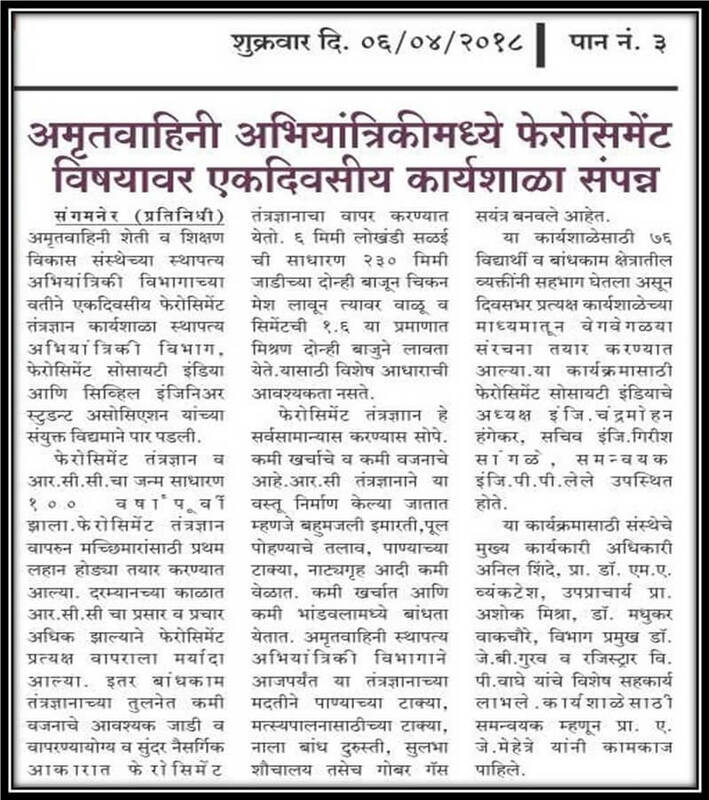 Prof and Head MBA Dept, AVCOE, Sangamner. Resume Writing and How to Face Interview. BE Students understood significant points to be highlighted in resume. 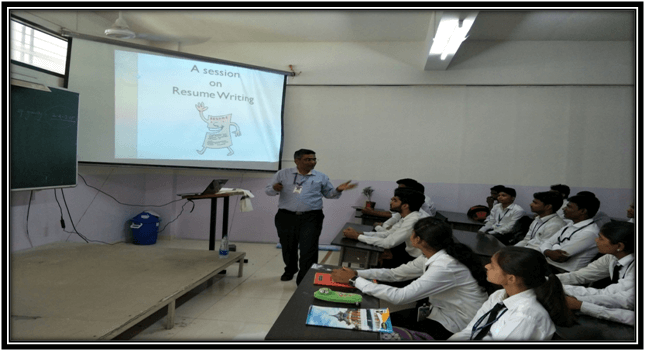 Director, Infini Institute of Program Management , Pune Choose your Job Career BE Students understood the points to be consider for choosing proper career. Director, INNOVENTIA Consulting Engineers India Pvt Ltd, Pune. Academics to Industry Transition BE Students come to know different opportunities in Industries. 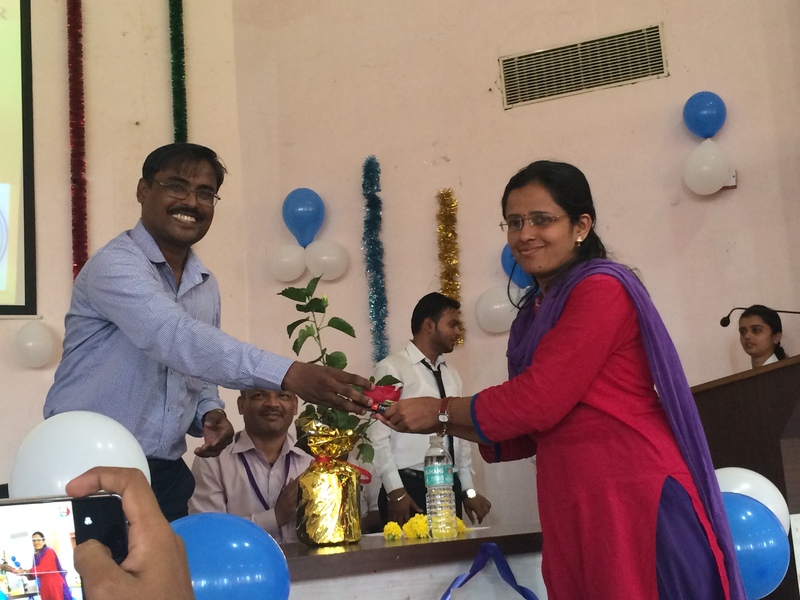 Director and CEO, AshokaBuildcon, Nasik. 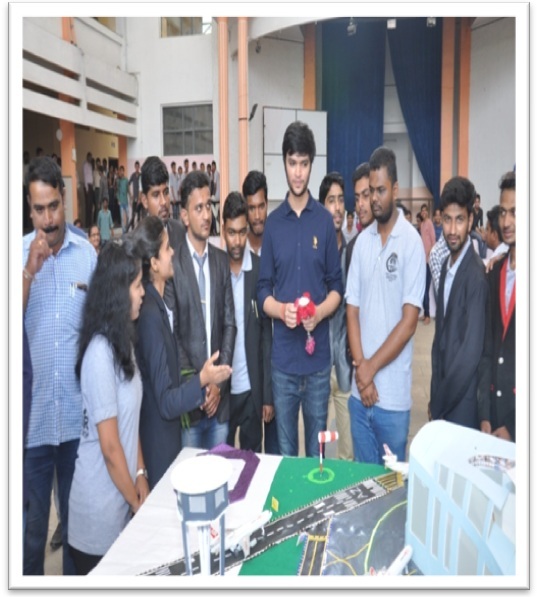 Expectations of Construction Industry from Civil Engineering Students BE Students became aware about challenges to face in construction industry. 10. 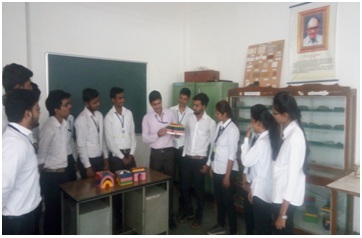 02-08-2018 Mr. Amit Alai, Chartered Engineer, Nasik Green/Environmental Friendly Buildings and their Rating Systems UG Students understood the concept of environmental friendly building. Dept. of MBA AVCOE, Sangamner Moral, Values and Ethics UG Learnt moral values and ethics. 12. 30-08-2018 Mr.MukundNaik Mrs.VrushaliNaik Gym Aerobics Instructor SSY Teacher, Sangamner Stress Relief Technique by Meditation UG Students understood importance of mediation to mitigate the stress. Senior Project Manager Hiranandani Group, Mumbai Project Planning UG Understood various activities during the execution of project. 22. 25/01/2017 Mr. Samir Aloni, Infini Solution, Pune Career after B.E. BE Opportunities after UG. 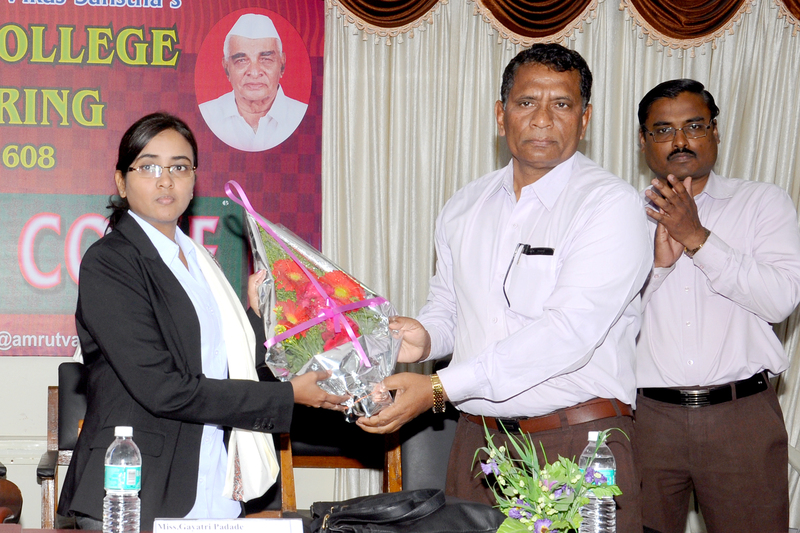 Felicitation of Mr. Hassan Chandrasekara by Head of Dept. of Civil Engineering. Guest Lecture delivered by Mr. Hassan Candrasekara on 26/06/2018. Guest Lecture delivered by Mr.Mohd. Zain Kangda on 02/07/2018. 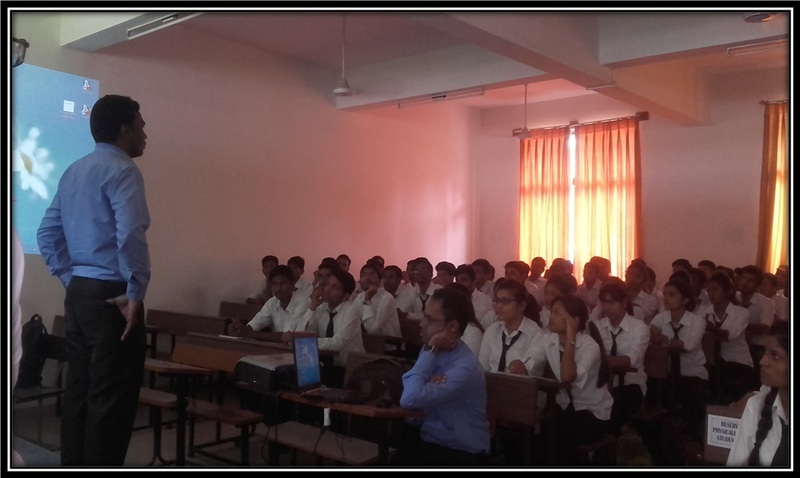 Guest Lecture by Mr. Rajesh Chaudhary on Jeevan Sanjivani. 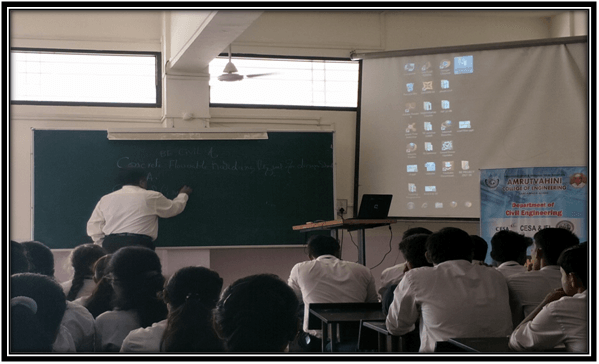 Guest Lecture by Matrix Firm, Pune. 1. 5th& 6th July 2018 Unnat Maharshtra Abhiyan Dr.N.U.Mate, Er.M.R.Gadhe - Amrutvahini College of Engineering, Samgamner was invited for open discussion session in follow up workshop organized by MIT, Aurangabad in support of CITARA , IIT Bombay under Unnat Maharashtra Abhiyan (UMA) on 5th& 6th July 2018. 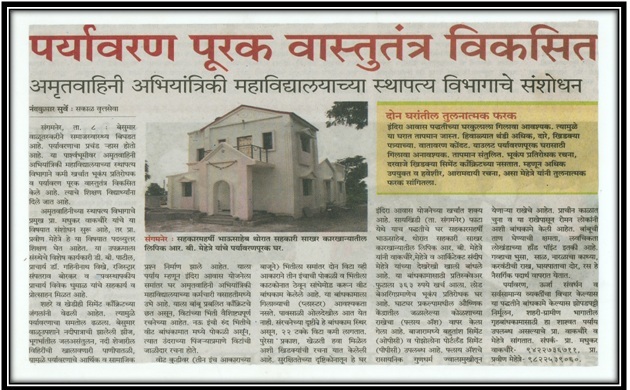 Dr.N.U.Mate, Er.M.R.Gadhe and two final year students(TejasKombade and SwapnilPatil ) had represented the institute. 2. 09/04/2018 to 11/04/2018 3 Days Training Prog on Earthquake dynamics of structure using Computer Programming Dr. N. U. Mate & Dr. M. R. Wakchaure (AVCOE) Sangamaner) PG Students and Staff Importance of Computer programming in structural analysis. 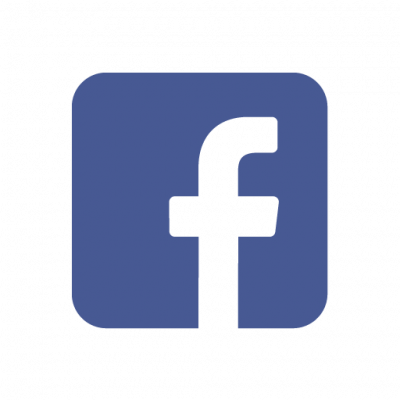 Engineers & Contractors (I) P. Ltd.,Kolhapur – 416003. Executive Engineer,Upper Pravara Dam Division,Sangamner, Dist- A,Nagar. Unnat Maharashtra Abhiyan (UMA) is a project of the Chief Minister's Office, Govt. of Maharashtra and the Ministry of Higher and Technical Education. Its vision is to build an independent and public knowledge infrastructure for the state of Maharashtra which will bring socio-economic and cultural development for its people, especially those in the bottom 80% of the socio-economic strata. 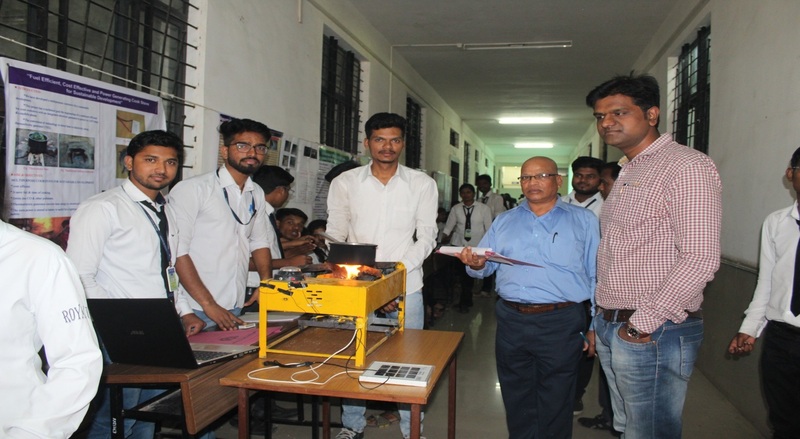 The Amrutvahini College of Engineering is empanelled institute under this flagship program selected by the CTARA (Centre for Technological Alternatives for Rural Area) IIT Mumbai team. 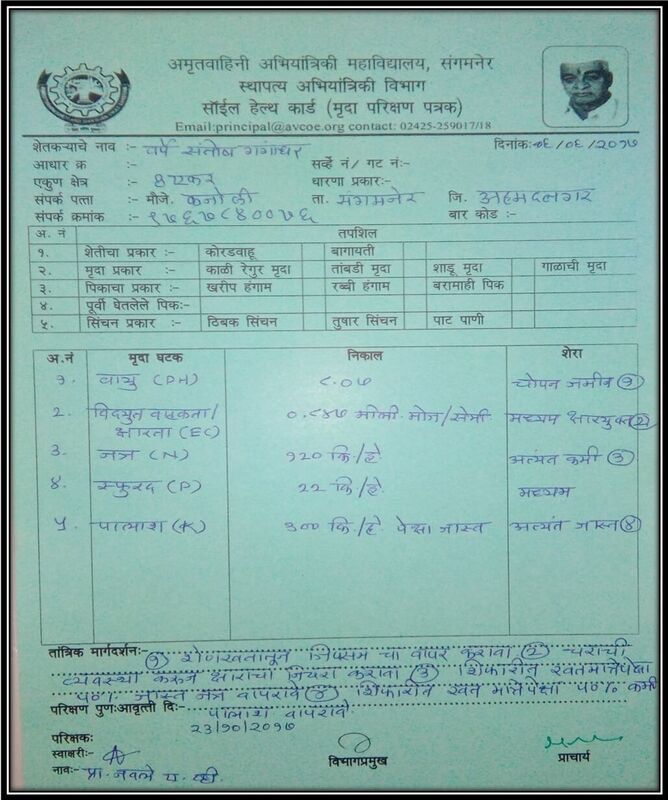 Third Party Assessment of Nagade Nal-Pani Puravatha Yojana, Nagade, Yeola, Nashik –RWSS . 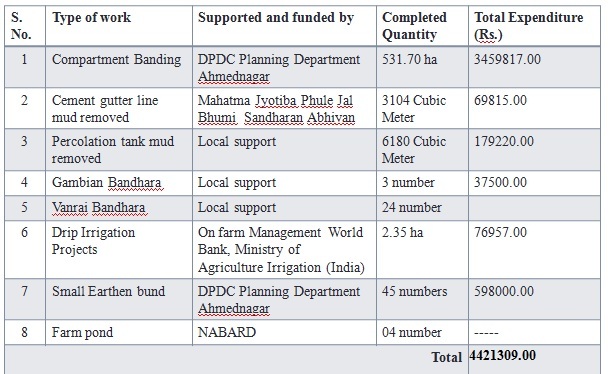 Scheme Capacity: 0.206MLDFinanced by: Gram Panchayat/ Zilla Parishad . It consists of 23 numbers of villages which are primarily rain-fed covering an area of about 26,000 hectors. 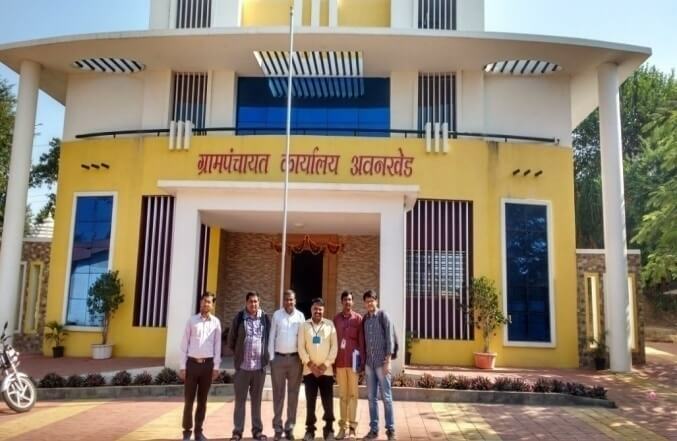 Our six students and three staff members from the institutes carried out the field data collection of 3 villages (Dodi Bk, Marhal, & Mitsagare at Sinner, Nashik District) in collaboration with IIT Bombay (UMA Team) and Yuvamitra (NGO) team for two weak. Submitted the report of water balance and crop pattern to UMA CTARA team. In addition to this our institute is organized field work follow-up workshop on “Improving the Performance of Rural Water Supply and Sanitation Sector in Maharashtra”, during 15-16 January 2018 in collaboration with UNICEF, CTARA, IRAP. The UMA CTARA team has appreciated our effort for social work. As a result of this, our college will be able to bid for paid assessment for Rural Water supply scheme under the control of district administration. Field visit along with IIT Staff. Assessment of Depth and Diameter of Well. Pumping Site of Nagade Village. 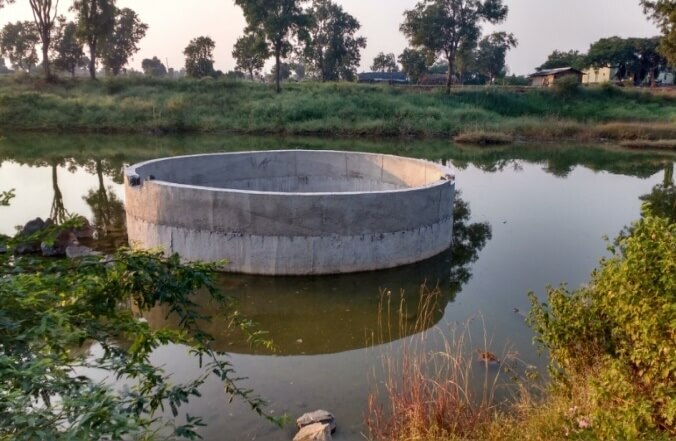 Farm Pond in Saykhindi Village. Second Training Workshop of RWS Scheme held at AVCOE, Sangamaner. Maharashtra government has launched the project "Jalyukt Shivar Abhiyaan" in a bid to make Maharashtra a drought-free state by 2019. The project involves deepening and widening of streams, construction of cement and earthen stop dams, work on nallahs and digging of farm ponds. 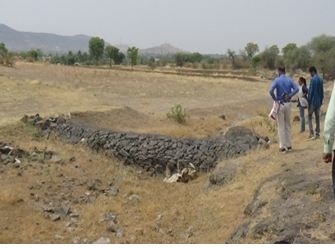 Under this abhiyaan, our department has carried our two projects for third part preliminary assessment of Karhe and Saykhindi Village of Sangamner Tehsil of Ahmednagar district. a) To inspect the JSA completed projects of Karhe Village and collect preliminary information. Statistical Information of JSA Completed work from 01/01/2015 to 08/01/2015. Assessment of Gambian Bandhara at Saykhindi. 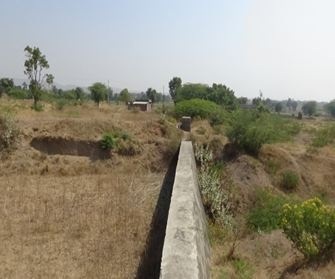 Site View of JSA at Karhe. Soil Health Card Scheme is a scheme launched by the Government of India in February 2015 .Under the scheme, the government plans to issue soil cards to farmers which will carry crop-wise recommendations of nutrients and fertilizers required for the individual farms to help farmers to improve productivity through judicious use of inputs. All soil samples are to be tested in various soil testing labs across the country. Thereafter the experts will analyze the strength and weaknesses (micro-nutrients deficiency) of the soil and suggest measures to deal with it. The result and suggestion will be displayed in the cards. 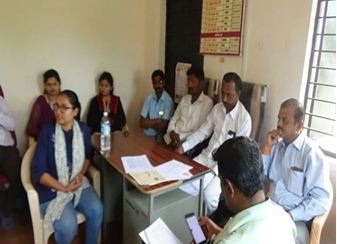 As a social work, our department has participated in this scheme individual without the support of Government Authorities since the institute is located in rural area and having some old history in co-operative sectors for the benefit of nearby farmers. 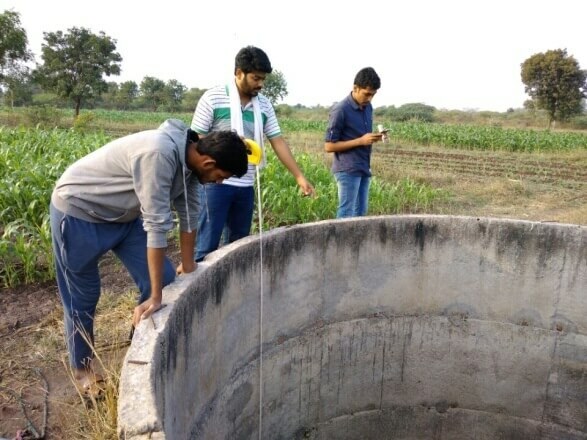 The department has collected the soil sample from nearby farms and tested the various parameters like pH, N, P, K and salt concentration to check the fertility of soil. The suggestions to improve the properties of soil are also given over the soil health card. All these information are given free of cost. Up till now 100 soil health cards are issued to needy farmers. 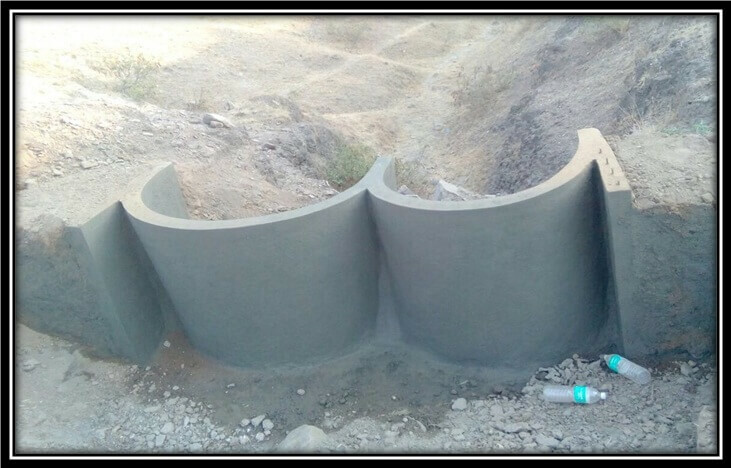 Objective: To develop low cost water storage system for rural area. Outcome: Solve the water scarcity problem of rural area. Application: It is used in remote villages where supply of water from regulatory bodies is not continuous. 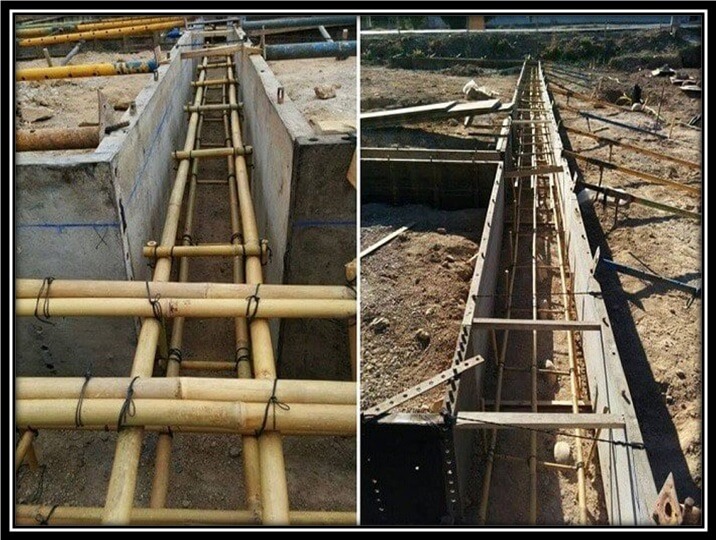 Objective: To analyze and design the bamboo reinforced concrete structures. 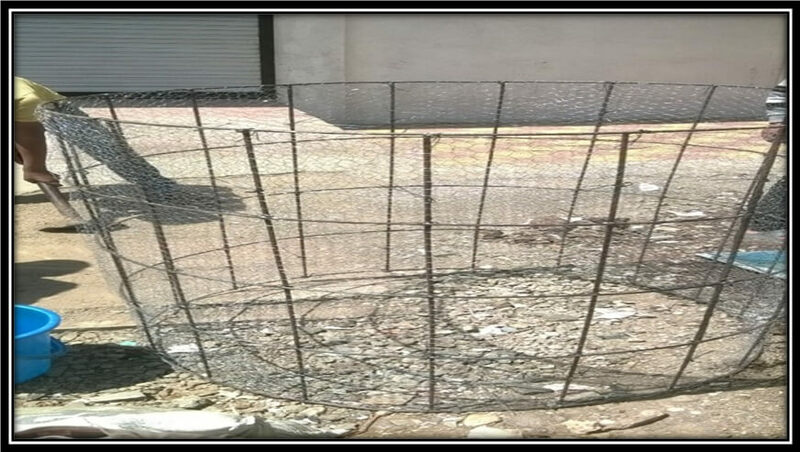 Outcome: Alternative to the steel reinforcement, which reduces the cost of construction. It is made up of Ferrocement Technology with arch shape. 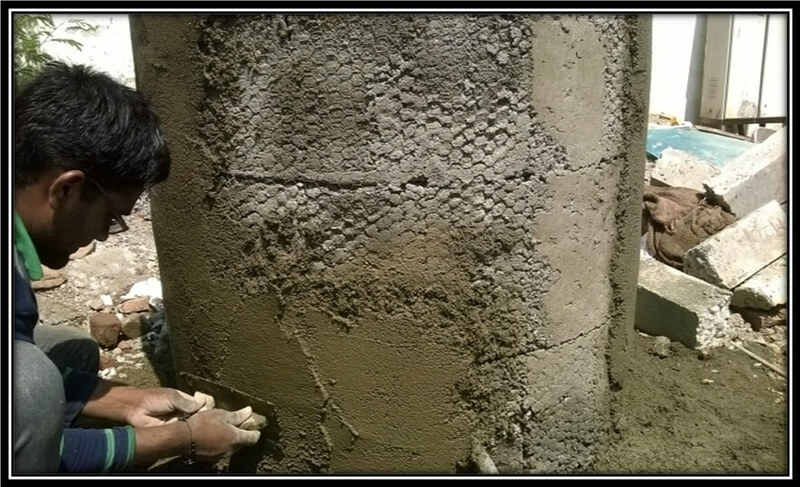 Cement mortar 1:6 proportion, 8mmf reinforcement bar is used. 1. A solid foundation in mathematics, science, computer as well as fundamental knowledge of relevant engineering principles in civil engineering disciplines. 2. The capability for critical thinking, engineering reasoning, problem solving, experimentation, and teamwork. 3. Practical skills and experience to design, construct, manage and operate the essential elements of civil engineering systems. 4. The integrated understanding of sustainability. 5. In-depth and advanced professional knowledge in various aspects of civil engineering works including the related ordinances, codes of practices, regulations and standards, and keeping track of the latest trend in the civil engineering profession. 6. A sense of professional ethics, social commitment and responsibility to the public. 1. Should be able to clearly understand the concepts of civil engineering and apply them to the real problems in design & construction industry. 2. Should have the capability to comprehend the technological advancement in the field of civil engineering for variety of applications. 3. Should acquire the communication and professional skills in verbal, written and drawing form. 4. Should possess professional, ethical and social values. 1. 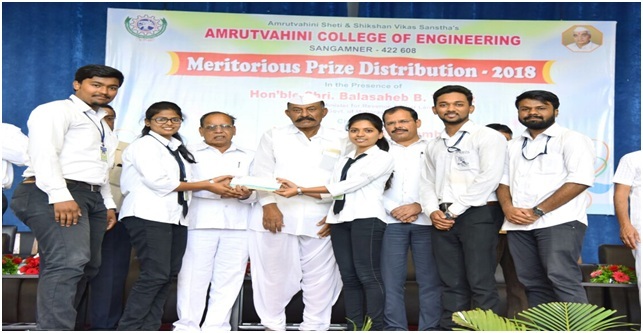 Program Outcomes focus on those abilities that are measurable at the successful end of a student’s academic program in Civil Engineering at Amrutvahini College of Engineering, Sangamner. 2. An ability to apply knowledge of mathematics, science and engineering. 3. An ability to design and conduct experiments and to analyze and interpret data in two or more of the following areas: environmental engineering, geotechnical engineering, hydraulics, structural engineering and construction materials. 4. An ability to design a civil engineering system, component, or process to meet specified performance, cost, time, safety and quality needs and objectives. 5. An ability to function on multi-disciplinary teams. 6. An ability to identify, formulates, and solves civil engineering problems. 7. An understanding of professional and ethical responsibility. 8. An ability to convey technical material through oral presentations and written papers and reports. 9. The broad education necessary to understand the impact of engineering solutions in a global and social context. 10. An ability to use the techniques, skills, and modern engineering tools necessary for engineering practice.